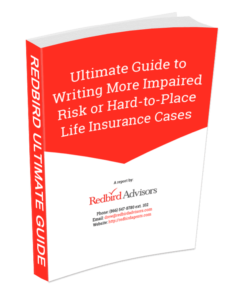 Welcome to the ultimate guide to selling indexed universal life insurance (IUL). Scott Karstens and I have spent an enormous amount of time compiling what we believe are the critical elements to help you better understand how to sell indexed universal life insurance. Those who have heard about IULs and aren’t maximizing the opportunity. Those currently selling IULs and would like some additional support. Shortly, Scott and I are releasing an even more detailed book on this topic designed for advanced case design and strategy using IULs. This will be incredibly useful for financial advisors and advanced life insurance agents. Keep your eyes and ears open for that upcoming release around January 1st,2019. Meanwhile, below is a snap shot of what you can find in this guide to help you start selling IULs. Get Your FREE IUL Sales Presentation? Indexed universal life insurance is a hot topic today, and Fox Business, Forbes, Investopedia, and many others can’t seem to get enough of it. Part of this buzz is because indexed universal life policies often provide greater upside potential returns than other types of permanent life insurance policies. Higher return potential than whole life insurance and universal life insurance by leveraging call options to capture upside growth while limiting losses through the use of floors. Unlike a taxable investment, cash accumulation remain tax deferred while funds remain in the policy. Tax-free retirement income can be achieved through the use of policy loans. If you aren’t selling IULs now, why not? are you sure you’re selling IULs the right way? With so much upside, why don’t all agents offer indexed universal life insurance? It’s a great question with an easy answer. The internet is filled with all kinds of insurance and investment advice, covering everything from 401k alternatives to investment scams and every topic in between. However, until now, there has not been one place that offers a comprehensive overview of indexed universal life policies. But after a lot of research, training and education, we’ve come up with this guide to help you learn everything you ever wanted to know about selling indexed universal life insurance. Because every agent is different in terms of how much they may know about IULs, I’ll start by covering the basics before moving on to giving you the information you need to start selling IULs the right way. Want a FREE and Proven Tax-Free Retirement Sales Presentation? What Are the Ways Clients Can Access Cash Values in their Policies? What is Indexed Universal Life Insurance with Living Benefits? Below are the common IUL definitions you should know. The most your policy can earn in indexed interest in a policy year. For example, if you have an IUL policy with a cap of 14% and the index returns 29%. The policy will be credited all indexed interest up to 14% and the remainder of the gains are held by the insurance company. Cash value is the amount of cash available in the policy that can be accessed by the policy holder in the form or loans or withdrawals. Mortality, interest, and company expense are the three main components used in calculating a life insurance policy’s “cost of insurance”. Crediting methods are what you choose to help meet your client’s needs for policy performance. There are many types of methods, and the best is the one that meets client expectations based on their risk tolerance. Some methods are more aggressive than others and can be compared by running different illustrations using WinFlex or specific IUL company illustration software. The following are three of the most commonly used methods. This is a great crediting method to lower the volatility risk by taking the monthly values each month for a year, subtracting the starting month index value, and dividing by 12. If the result is positive, the policy is credited up to the cap, if it’s negative, no loss is attributed to the policy. Each month the positive or negative index rate is tracked and added up at the end of the year. This can be one of the most effective ways to capture gains, but bad months can severely impact the end of year indexed interest credited to the policy. Of course, the caps and floors are applied based on the policy specifications. This method is the best averaging vehicle and the most popular. It is similar to the Monthly Point-to-Point but tracking only takes place once a year. Expenses of operating the life insurance company which includes salaries, agent compensation, rent, legal, postage, advertising, etc. These expenses of operations are often referred to as expense loading. These costs vary by each life insurance company and can certainly make a difference when illustrating options for your clients. Most life insurance companies that offer indexed universal life insurance have 0% floors to protect policy cash values from negative performance years in the market. This means that any negative year in the market will not result in a loss attributed to the policy. Fees and charges can negatively impact the cash value, but not market performance. This is why you need to make sure and illustrate your client’s IUL policies correctly to make sure the charges and interest rates will not work against them in negative market years. The reason IULs can guarantee no loss due to negative market years is because they are not invested in the market. IULs are invested in options which means if there is a negative year, the insurance company doesn’t execute their options and no gain or loss is credited to the policy. There are some who “True Up” performance every “x” number of years but this is not a floor (i.e., some companies will measure the policy performance every 5 years and if 2% compounding beats the client’s performance experience they deposit the difference). This example is not a floor since they don’t receive this in a Zero Year. An external index is tied to a portion of the IUL premiums are used to accumulate cash value year over year. Index options include (but are not limited to) the S&P 500, Barlcay’s, Hang Seng, and others. You should help your client choose the best index option for each policy you sell as each index option has its own set of pros and cons. Interest gains attributed to IUL policy cash values based on the positive performance of an external index chosen for the policy such as the S&P, Heng Sang, or Barclays. At the end of the year, the indexed interest is locked into the policy and cannot be lost. This is a form of a bonus that provides excess return typically for policies that have been in force for many years (most commonly 10 years or more). An example would be a 10% index multiplier after the 10th year. If the index result is 11% and you receive the index multiplier in that year you will receive an additional 1.1% interest credit in addition to your base Index Interest Credit (11 x 10% = 1.1). This result plus your index interest is added to your policy. Many companies provide another form of bonus as a form of loyalty bonus. Typically for customers who have paid premium for more than 10 years (though some provide this as early as year 5). This is typically seen anywhere from 0.50% – 1% of account value regardless of Index performance and in addition to index performance. A factor in calculating cost of insurance. Companies invest client premiums and assume they will earn a certain rate of interest on these invested funds. It’s an important factor in building premiums as they need to forecast earning on premiums paid. When life insurance is used for cash accumulation or tax favored income, this is the highest percentage of premium that can be put towards the cash value portion of the policy. This is what agents or wholesalers will refer to as a max funded iul. This is generally the most desirable amount because it can earn interest for the policy holder. Best example would be when a client’s primary interest in focused on maximizing their cash accumulation. However, max funded iul isn’t always the best strategy for your clients, so always make sure you are looking at the various ways to run an indexed universal life illustration. The opposite of Maximum Funding. Some people choose this option because it provides the biggest death benefit and the cost of the premium is less because there is less going to the cash value portion of the premium. This funding option may also pose a risk to the health of your policy because the cash accumulation is used to offset your cost of insurance. A modified endowment contract is a tax qualification of a life insurance policy whose cumulative premiums exceed federal tax law limits. The taxation structure and IRS policy classification changes after becoming a modified endowment policy. If your policy becomes a MEC your client’s accumulation will still remain tax deferred, but when they need to access cash they will first access the interest in their policy and pay tax on the distribution or withdrawal. If they are younger than 59 ½ they may also have a 10% penalty on the withdrawal. Once you have withdrawn to your basis, future withdrawals are generally tax free. Life insurance companies can afford to pay out death benefits by pooling the risk of a large group of people paying premiums to the insurance company. Mortality tables are used to determine the average life expectancy for each age group. Participation rate is a multiplier that impacts indexed interest that is credited to a policy at the end of each policy year. For example, you sell your clients an IUL policy that has an annual participation rate of 130%. If the policy earns 7%, you would multiple 7% times 130% for a total indexed interest of 9.1%. Not all policies have participation rates and some even have less than 100%. It is critical to understand the various options to correctly illustrate and set client expectations. Surrender value of a policy is the cash value available after any penalties or charges have been applied. Target premium is the premium insurance companies use to calculate commissions. For example, if you’re commission on a specific company is 80% and the target premium of a recent IUL you sold is $1000, your commission would be $800. Thanks! Please Send My Copy. In the late 1970s, universal life was the insurance industry’s attempt to provide a product with the protection of permanent life insurance along with options for how the cash value could be leveraged. The word “investment” was often used in discussions about universal life, but that was definitely not the case. At that time interest rates were at all-time highs and our industry was scrambling to participate in the upside of high rates with a product that provided something better than guarantees of a whole life policy. Initially the goal of universal life insurance was to unbundle the premium loads, expenses, fees and cost of insurance so the consumer could make choices on how much they could fund given what they could see was happening inside the policy. This transferred some of the risk from the insurance company to the consumer but also brought a significant amount of flexibility. This was opportunistic at a time where certificates of deposit were generating 10% returns or more. Ability to start and stop premium payments. Ability to make non-level premium payments (for example, the consumer could now choose to pay more money early and see how the underlying interest growth impacted their need for more premium). The ability to see the actual interest rate their money was earning vs. a guaranteed growth rate and non-guaranteed dividend. Our industry wanted some of that business. Universal life was designed to be more flexible for the customer than whole life insurance, providing a variety of options to combine the benefits of insurance and meaningful growth. It wasn’t uncommon for agents to build universal life illustrations with returns of 10% or more, making for a very compelling cash accumulation story over a 10-, 20- or 30-year time frame. But there was a catch that still dogs universal life to this day. Those rates were not guaranteed (hence why they are wreaking havoc on many policies and unknowing policy holders today). Since the late 1970s, we have seen three significant periods where interest rates dipped and/or tanked, leaving a scenario where cash accumulation could not keep up with in the increasing cost of insurance. That means, over time, the policies eat themselves alive and may require significant additional premium payments, sometimes only to meet the minimum costs for a death benefit. This left many universal life policyholders angry because they were either misled by their agent, didn’t understand the fine print, or both. A mess many agents continue to clean up today. Those actions created a hostile situation for agents and customers and has tainted the reputation of universal life products. If there’s a lesson to learn—at least this is what the critics land on—is that we, the industry, did a poor job of properly communicating the downside of universal life. In the late 1990s, with the floor on interest rates dropping for the second time since universal life was introduced, the industry introduced indexed universal life, a type of permanent life insurance product that allows for flexible over-funding above the minimum cost of insurance. The over-funded premium is tied to the growth of a stock index, such as the S&P 500. The insurance company tracks and allocates growth back to the cash value of the policy based on index performance. The performance accumulates and the cash value is available tax-free by taking advantage of section 7702 of the IRS tax code. As a result, universal life evolved to provide BOTH a growth component and downside protection as markets move up and down. Today, IULs are an excellent option for moderately risk-averse and conservative customers looking for growth with limited downside. Determine if you want to be captive or independent agent. Identify the best IUL agent or Brokerage General Agency (BGA) that can best support your business. Study your market and put together a marketing plan. Get contracted with an insurance company that has the people, product, and process that best supports your business. These are the best Indexed Universal Life insurance companies that cater to your target audience. Start prospecting and buying leads. Close your first sale and collect your first commission (I like this part the best!). Get Your FREE IUL Sales Presentation Now! IUL pays on target premium which is NOT the same as annual premium. When you’re looking at your illustrations you’ll want to find that pages that states target premium. It’s usually identified as “TP”. Once you have identified the target premium on your illustrations, you can multiple that number by your commission percentages and advance percentage if you’ve requested annualized commission. For example, if the target premium on a policy is $1000 and your commission is 85%, then your total commission would be $850. If you’re on an advanced commission contract, then you would then multiply your $850 by either .5 or .75 which would equal 6 or 9 months advance. What are street level IUL commissions? Street level commissions for IULs are usually in the range of 75%-90% depending on the company. You can expect to receive this commission level from nearly any IUL FMO or BGA. An FMO is a field marketing organization that has a contract with an insurance company to distribute their products. FMOs are often referred as National Marketing Organizations (NMO), Brokerage General Agencies (BGA), Managing General Agents (MGA), or Independent Marketing Organizations (IMO). Does an independent agent need an FMO? In my opinion yes, but that’s just my opinion. Some carriers may allow you to get a direct contract, but in most cases they will send you through some level of wholesaler as listed above. If you decide to use an FMO for your IUL contracts, you should make sure and review the following capabilities to ensure they can support your needs. Illustration and Supplies Support: What type of support system do they have to ensure you can get illustrations and sales supplies in a timely manner? Case Management: How is their system set up to alert you of missing requirements that are delaying the placement of your cases? Experience: Does their team have specific experience with IULs? This is a big deal as not all life insurance wholesalers can properly support the IUL sales process. Advanced Markets: Do they have a team that specializes in advanced markets? This is especially important for those of you looking to target business owners or high net worth clients. Legal Team: It’s not uncommon for an agent to need to consult an attorney on certain sales scenarios. The experienced IUL FMOs will have an internal resource to ensure a timely connection for you and your clients. These are just a few of the critical elements you want to make sure your FMO, BGA or whatever you want to call them has to support your efforts selling IULs. Download Our Proven IUL Sales Presentation Now! Even the simplest insurance product is complex. I’m not talking about the actual features and benefits of the product (although those can be complex). The key is understanding the landscape around your product…the elements that can make or break how well it performs to meet client needs. For example, if you don’t properly understand the basics of retirement income planning, then how can you make a compelling case for an IUL as part of a retirement plan? There are three main tax scenarios you should understand that affect retirement income. You need to have a working knowledge of each of these before you start selling IULs. The client contributes to these tax-deferred plans and they become available penalty free at age 59 ½. At that point, the client will be taxed at their tax rate at the time. If withdrawals are made prior to age 59 ½, a 10% penalty will apply. These are the most common retirement plans you’ll encounter in the field. You study each of the income sources listed above to get a good lay of the land. Then you consider how each of them work together in an overall financial plan or the client. I routinely refer to Patrick Kelly’s top seller, Tax-Free Retirement. He does a great job explaining an easy way to look at using various income sources. Can we agree that free money is good? An example of free money would be the match an employer provides in a 401k. Few things are better than collecting a nice percentage of your income from your employer, and have that money grow tax deferred. We believe a 401K is an important step in someone’s retirement plan and they should absolutely take advantage of this when given the opportunity. Life insurance agents traditionally cannot setup 401k plans, so it’s important to make sure your clients are working with their employer or investment advisors to make sure their 401K is optimized correctly. Most people think they are the same. While their genetics are similar, the types of customers they serve are different. Whole life is the flagship product for companies such as Northwestern Mutual, New York Life, Mass Mutual and Guardian. These four companies consistently rank as the best whole life insurance companies and for all the right reasons. What these companies don’t do is sell indexed universal life insurance because it doesn’t match up with their strategy of safe and consistent historical returns in the form of guarantees and dividends. Let me repeat: whole life best serves customers looking for guarantees and dividends. Cash accumulation, which can be accessed through loans or withdrawals. Early cash value riders are available to increase the length of a time your client has nearly equivalent cash values to premiums paid. Paid-up additions which is the ability to purchase more insurance without any additional underwriting. No downside market protection. Subject to market volatility. Fixed premiums only, which fund the base death benefit and guaranteed cash growth (base death benefit) and the overfunded portion which accumulates cash value. Cash value can often take longer to build in a base whole life insurance policy. As stated earlier, IULs were developed for customers who had little stomach for losses from the “markets,” but were open to a product that allowed them to participate in gains. Downside protection from market volatility through the use of floors. This means your account can never perform less than a pre-determined interest rate, typically 0 or 1%, even in years when markets were negative. Higher potential gains using uncapped allocation methods. Make sure to always review the available allocation methods that impact the performance of cash accumulation as many uncapped strategies often over promise and under deliver. So yes it’s a pro, but you need to be cautious when explaining this to your clients. Cash value can be equivalent to first year premiums in certain situations. This allows businesses to hold the indexed universal life insurance policy as a positive asset on their balance sheet, yielding much higher returns than CDs or money market accounts. Flexible premiums allow proposed insureds to adjust their contributions on any given year based on their financial position while keeping their death benefit intact. Cash accumulation is based on performance of market indices versus contractual guarantees. Unlike whole life, IUL doesn’t offer minimum guarantees such as 3-4%. Minimum premiums required to keep the policy in force can increase over time based on the interest rate environment (similar to term life). However, it’s only a weakness when used inappropriately, another reason you need to have a strong support system to help you run illustrations correctly. So, which is better, indexed universal or whole life? As an agent, your first task is to understand the needs of your customers, analyze their objectives and risk tolerance, and then make a recommendation based on their individual situation. How does an Indexed Universal Life policy stack up against a qualified employee retirement account such as a 401k? We continue to see the trend of indexed universal life as an alternative to 401k plans. Like we mentioned above with IUL and whole life, it’s not an apples-to-apples discussion. So, you must take into consideration the pros and cons of each while keeping in mind every scenario is different. Let’s take a look at the pros and cons of a 401k first and then address how indexed universal life compares. Funded with pre-tax dollars (this means the income reported on a tax return is reduced by the amount contributed to the 401k before taxes are due that year, allowing for those tax payments to defer until retirement age or when income is generated from the account). Employer contributions are one of the only ways to get “free money” other than an inheritance or winning the lottery. Often times an employer will match 401k contributions dollar-for-dollar when contribution meet a minimum threshold such as 3%. (this means that when someone invests 3% of their salary in a 401k, the employer may match another 3%, bringing the total up to 6% of the annual salary). Protected by ERISA. ERISA is the federal law that protects those who choose to participate in a qualified retirement plan. One of the key protection factors is an appeal process to ensure benefits are paid and mismanagement is strictly enforced. Early withdrawal penalties occur if money is taken out prior to age 59 ½. Management fees are deducted from the account balance each year or any time allocation changes occur (If a 401k balance is upwards of $400,000, fees can easily be $10,000-$15,000 per year or more). Market volatility can quickly diminish years of performance as the premiums are directly tied to market performance. One of the important selling points of an IUL policy is the ability of a client to access the cash value of their policy. There are several ways they can do this. This type of policy loan does not affect the performance of any index strategies in place. With a participating loan in place, it does not require that any segments that secure the loan be discontinued and moved to the fixed account as collateral. A policy holder can take a loan out against a death benefit and may be required to pay a variable interest rate to restore full benefits of the policy. This type of loan against a policy allows a holder to take a loan out, but the loaned values will continue to earn interest. It is based on the Loan Index Strategy return. Interest is charged in arrears after the interest earned by the Loan Index Strategy is credited. When does it make sense to use 7 or 10 pay solutions? It is generally best to use this method when a policy holder is between 35 and 55 years old. This allows a policy holder to pay enough premium for 7 to 10 years so that the policy is paid up for the life of the policy. This is another reason why you should always consider a multi pay solution when illustrating proposals for your clients. What scenarios make sense to illustrate IUL as a MEC? This scenario makes sense when a policy holder is sure they want to leave a death benefit on their policy or if they have a desire for high early cash value and tax deferral vs tax favored distributions. How do you use term riders to build stronger cash value and higher death benefit? Term riders can be used to lower the cost of insurance and to allow must money to go into cash value or purchasing more death benefit. Unlike many traditional life insurance products, IUL leads are not commonly generated using the traditional tactics most agents are used to such as tele-marketed life insurance leads, direct mail, or even internet leads. Because selling indexed universal life is complex and complex purchase decisions typically aren’t great lead magnets for consumers. What’s the best way to generate IUL leads? Some may disagree with this, but here’s my opinion. Strategic partnerships are the strongest way to generate IUL leads, but they take time. New agents often think they can jump into selling IULs and quickly realize it’s a very different market than what they are used to. It takes time to become an expert and even more important is the time it takes to establish and nurture strategic partnerships. If you’re new to selling IULs, here’s our process that can help you get up to speed building strategic partnerships. You have to make the choice to immerse yourself in becoming an expert. Our editors always tell us to be careful publishing information that is already known, but I need to reinforce this point. If you don’t do this, you will fail. Period, end of story. Do your homework or don’t try to sell IULs. They are too complex, and you’ll put your clients at risk if you try and “fake it until you make it.” Take the time to learn properly and be patient with your clients as they absorb the details. How to become an expert in IULs? Step 1) Start reading Think Advisor, InsuranceNewsNet, and Insurance Journal. These are 3 consistent resources you can access that have great content around strategies and ways to use IUL in your practice. Step 2) Create a google alert. Google alerts is a great way to keep content that is important to you on your radar screen on a daily basis. All you do is go to google and enter “Google Alerts”. If you have a google account, you’ll be prompted to enter the phrase you want alerts on. From there, you can choose if you want daily or weekly alerts. I would choose daily because you should be dedicating daily time to educating yourself about IULs. Step 3) Attend carrier webinars. In the world of junk email, it’s hard to always know what to keep and what to throw away. I use google business email and create tags for the companies that I want to make sure and follow, this way my inbox stays organized. Any time a rep from an IUL company is putting on a webinar on IUL strategies, I almost always attend, or I have a virtual assistant attend for me and take notes. Step 4) Talk to your clients. This is the absolute best way to learn about IULs. You can’t be afraid to have discussions with your clients, even if it’s something new to you. Here is the approach to hopefully ease your fears. Your clients already trust you, and frankly, they want you to succeed. If they don’t, then you need to drastically revisit your ability to build relationships. If you’re mantra is to always do right by your clients, then this is a no brainer. Use the following language. “Mr. Client. I appreciate your confidence in me to help manage your risk associated with (burial insurance, estate planning, Medicare, whatever existing service you help them with). One of the areas I’m expanding my business this year is educating my clients on diversification of retirement savings. “I have been training on how indexed universal life fits in a financial plan, and if it’s okay with you, I would like to ask for your help. “If you’re okay with helping me better learn this side of the business, I would like to complete a short fact finder which will help me get more comfortable with the questions I need to be asking to best gather the relevant information with my clients. From there, I’ll take that information back to my office and work with my internal support teams at the various insurance companies to review if IULs have a place in your portfolio. “Best case scenario is we identify a gap and educate you. Worst case is we find your portfolio is well positioned and I walk away with a great learning experience. “Either way, it will be incredible valuable for me. As you’ll see in the language above, you are doing nothing but having an honest conversation with your clients, and honesty goes a long way. There is NOTHING wrong with this approach when you are learning to sell IULs. Everyone has to start some where and leaning on those who already know and trust you is absolutely the best way to continually learn more about IULs. This isn’t a sometimes activity, it’s an all the time habit. Make sure you are doing this consistently and you’ll consistently have opportunities to learn. This is the lowest hanging fruit and often the most overlooked way to generate IUL leads. Because most agents pre-judge their existing clientele and assume an IUL wouldn’t be a fit. This is usually a mistake made by rookie agents who haven’t taken the time to complete Step 1 first which is becoming an expert. Your clients already know and trust you. Leverage that relationship! About 80% of people with life insurance have no relationship with their agent according to LIMRA, and 50% of those acknowledge they need more life insurance. Take the time to set review appointments with your clients and assess their objectives and concerns. This fact-finding process will open up more doors than you can imagine, and you’ll soon realize IUL holds a place in most of your client’s financial plan. A great way to start this process is to send your clients a pre-approach letter explaining what you would like to accomplish in your next meeting. Try sending 20 letters each week and follow up with them during the following week. Yes, this may seem overly simple, but it works. Don’t try and reinvent the wheel. Click here for another resource we have to help you learn more about policy reviews. Don’t skip this step, referrals are free and if you’re asking existing clients for referrals, you’ll have no problem getting them. Always remember, you’ll never get what you don’t ask for. Go here to see the full write up we did regarding selling friends and family. Finding a center of influence is important because it allows you to have someone else prospecting for you while you’re spending your time on your other prospecting channels. For example, connect with an agent selling employee benefits to groups and constantly stay in front of them reminding of the benefits of using IUL with business owners. Over time, they will become an advocate for you and begin introducing you as their trusted resource to help their business owner clients understand how to use indexed universal life with a business. Another example could be partnering with an estate planning attorney. They can be great influencers when clients are faced with decisions on how to position existing funds and indexed universal life insurance is common solution. Strategic partnerships are much more involved than centers of influence. A great example of a strategic partnership would be partnering with a local group of tax attorneys or estate planning attorneys. In a perfect world, these strategic partners are licensed which allows them to participate in life insurance commissions. Setting up a strategic partnership allows for a stronger level of integration into each other’s brands, ultimately acting as a strong resource for your clients. One of the keys to a successful IUL presentation is illustrating how an IUL works as part of a client’s overall retirement strategy. Building an IUL case design will lay out important details and answer many of the questions a client may have while breaking down barriers that could impede a successful transaction. Only a licensed insurance agent or insurance company wholesaler should design a policy illustration. Typically, nobody knows indexed universal life insurance better than the internal wholesalers, and the best way to ensure an accurate and thorough case design is to tap into their considerable resources. One of the keys to preparing a successful IUL illustration is determining how it addresses the financial and insurance objectives your client has. Consider each of these elements as they relate to your client’s needs. Many think an IUL is just like whole life and it’s another way to have life insurance until the day they die. Death is certain, but with the wrong policy, unnecessary premiums will be paid for that solution. If cash value isn’t the objective, then the insured shouldn’t have to pay for those bells and whistles. If your client’s objective is to grow and access cash values, then an IUL is a good option. There is a minimum cost to purchase the death benefit plus additional costs that are the dollars used to start accumulating cash value growth. Once your client’s objective is clear, you can start looking at the various products available and compare the performance. If you’re not sure which product to choose, call us and we can help walk you through the differences. Age matters… that’s no surprise. But, when you’re working with IULs, not all policies are created equal. Insurance companies have different IUL products that are better suited for clients of different ages. It’s all about mortality tables and costs of insurance. Their actuaries review mortality tables and adjust costs of insurance that are either front- or back-loaded into a policy. For example, a younger applicant could be well-suited with an IUL policy with higher costs of insurance during the first 10 years, allowing for greater cash value growth down the road. The assumption is that a younger proposed insured has more years to keep the policy active which allows the insurance company to manage its risk over a longer period of time. If someone were to buy a back-end loaded policy, the expenses in the policy are the lowest early and rely upon early success to help pay for the increased cost in the later years of the policy. A mortality table estimates the mortality of a population over a given time. In short, it predicts life expectancy at a specific age. As mortality rates are updated, life insurance premiums adjust. People are living longer as the medical care continues to improve. This directly impacts the cost of insurance, ultimately lowering premiums. This is one of the primary reasons you should always conduct policy reviews for clients with existing life insurance. They might be healthy and insured under a product that was designed with an outdated mortality table. You will be surprised how many policy reviews result in replacements for this very reason. Insurance companies calculate their cost of insurance based on things such as administrative costs and mortality costs. Depending on the type of policy, the cost of insurance can be covered by premiums paid by the customer and/or from cash accumulated in the policy over time. A good rule of thumb: the older the applicant, the higher the cost of insurance. This is one of the big factors that impacts IUL performance, especially when you are illustrating cash value for tax-free retirement income purposes. One of the biggest differences between IUL products is how the cost of insurance is distributed. Some IUL products have front-loaded costs of insurance, which limit upfront gains, while some are back-loaded, allowing for quicker cash accumulation in the early years. One size doesn’t fit all customers, so be prepared to do your research. Now that you understand the main elements that go into illustrating an IUL, let’s look at one of the best life insurance illustration software programs available to you. Using WinFlex is a critical element of learning how to sell indexed universal life insurance. It’s a free resource for agents and is a game-changer in making the process easy and fast. In fact, it’s the most commonly used software by the insurance companies, including Global Atlantic (formerly Accordia), Lincoln Financial Group, National Life Group, Prudential, Voya, AIG Partners Group, North American, Allianz and many more. This means that each of these companies can be added to your Winflex account upon request. For IUL illustrations, Winflex gives you the ability to design and store customized templates for future use. For example, you can save your favorite tax-free retirement case design for use on future cases. You can also switch between products without having to re-enter data. This is very helpful when you want to shop multiple companies to determine the most suitable option for your client. For example, you can compare Global Atlantic’s IUL to Lincoln’s IUL, etc. Ability to choose multiple premium modes in different years of a policy. Especially important for indexed universal life illustrations. Multiple ways to adjust crediting methods. Compare multiple IUL illustrations from different life insurance carriers. Various case design templates to account for death benefit or cash value objectives. You have to be set up under your upline (BGA, IMO, MGA, etc.) to get a free WinFlex account. The reason why is because you need to make sure you have access to all the best indexed universal life insurance companies. If you try to set up the account on your own, you may not have access to the companies you need to make a proper client comparison. If you are interested in getting access, click here and we can get you set up with your own WinFlex login. If your existing upline has an account, make sure they add you immediately (It takes five seconds to add and approve a new WinFlex user). If you’re not sure what to ask them, just copy and paste the text below and email it to your upline contact. If you prefer, we can get you set up with WinFlex immediately. Request access by clicking here, make sure you include your name and email as it will be needed to setup your login credentials. We’ll add you as a user and generate an auto email to you. After you receive instructions, log in to WinFlex Web and start using WinFlex for your IUL illustrations. WinFlex has two versions, desktop or online. We always suggest using the web version, so you don’t have to worry about missing software updates. Changes happen constantly in the insurance and financial world. You don’t want to create wrong expectations with your IUL clients due to not having the correct version of your illustration software. Step 1: Login to WinFlex dashboard. As you can see, it’s really simple to get started. Next, you will need to understand the elements required to design an indexed universal life policy. Highlighted below are the categories that you will address to complete an IUL illustration using WinFlex. Once you have entered the basic client information into WinFlex, you can continue designing your IUL illustration based on your client’s needs and objectives. Desired face amount or premium. How many years your client wants to pay premiums. For example, maybe they only want to pay premiums for 7 or 10 years (also known as 7-pay or 10-pay life) or pay one lump sum up front and be done with it (single premium life insurance). Cash Value or income goals. For example, a client may say “show me the numbers it will take to provide an extra $50k per year income starting at age 66”. Once you have the basic information, you can proceed to the IUL case design. The first step is understanding how to “solve.” You’ll need to pick an option, so it’s important to understand what each option offers your client. This option will allow you to illustrate to a specified period of time at which the premiums paid into the policy equal the cash value, typically age 120. This calculates the amount of death benefit based on the target premium. Target premium is a great middle-of-the-road way to run an IUL illustration, as it always provides the client more flexible premium options. This calculates the minimum non-modified endowment contract (MEC) death benefit based on planned premium. For example, if your client has agreed on a $300/month budget you could back into your death benefit amount using this option. This option will produce the maximum amount of premium a client can pay into a policy without creating a MEC. This is called a “max funded IUL”. This is the floor option, which is the lowest available premium the client can pay to keep the policy in force and cover the insurance company’s charges and expenses during the 5-10 year no lapse period for any permanent product. This is a test to make sure that a product still qualifies as a life insurance policy under the IRS code. The next step is to determine if you’re going to show distributions (taking income/distributions from the policy). If so, you can simply choose the age it will start and for how many years it will continue. If you have the numbers incorrect, the system will alert and show you that the policy can’t perform as illustrated. Lastly, you can save your IUL illustration for your client, customize the contact information and send a customer-friendly version to keep the sales process moving. There are 3 columns you need to understand on an IUL illustration. What is the minimum guaranteed value? This is what is guaranteed under any circumstances. It will differ by carrier. What is the non-guaranteed column? Non-guaranteed column is a formulaic average of the last 25 years given the cap rate for the given product or indexing feature. In many cases, this is the best case scenario as it’s based on historical performance. How to explain the NAIC illustration page? There are three scenarios to understand since an IUL (just like a UL) transfers some of the risk to the client. Guaranteed contemplates the lowest possible interest rates credited and the maximum allowable charges being imposed on the policy (from day 1). The mid-point is typically 50% of the expenses and interest crediting between the Current Assumption and the Guarantee. The Current Assumption shows the result of current charges, maximum allowable illustration rate. None of these scenarios are likely to happen, but it is important to have an idea of what could happen. This page is important because it gives people a feel for what can happen over a period of time. Lets first start with the question many agents always ask their clients, “do you have the old type or new type of life insurance”? What is the difference between the old and new type of life insurance? Life insurance with living benefits is what the industry refers to as the “new type of life insurance”. New life insurance offers livings benefits and old life insurance doesn’t. Simply stated, living benefits in a life insurance policy allow clients to access a portion of their policy face amount while they are still living, assuming they meet the life insurance company’s qualifications. Client A is current paying $150/month into their indexed universal life insurance policy. The policy is growing at an average of 5-7% per year and performing well. Should the client pass away, their family will have $500,000 of tax-free inheritance which is the traditional way people use life insurance – upon death. Should the client need to access the cash value in retirement, they will have approximately $30,000/year for 20 years, available tax-free. But, what happens if they have a stroke? Or get diagnosed with MS or Parkinson’s? The client’s family will have to use their savings to cover the costs of at-home health care or a long-term care facility, causing untold stress on their income and/or lifestyle. Client B is currently paying $170/month for an indexed universal life policy that is growing at an average of 5-7% and performing well. They too will have the $500,000 death benefit and roughly $30,000/year income stream in retirement. Same as above, but here’s where things are different. If client B is diagnosed with a condition or suffers a critical illness such as a heart attack or stroke, they will be able to take 2% of the death benefit (2% of $500,000) which equals $10,000 per month to cover the costs of at-home health care or long-term care. In this scenario, the policy death benefit is used to offset or cover the costs of treatment vs. forcing the family to pay out of pocket from their savings. Some policies even allow clients to accelerate the policy death benefit up to $2,000,000, another reason why it’s important to shop your companies to provide your clients the best option. Does it make sense to purchase a long-term care policy for hundreds of dollars a month when you can simply upgrade your life insurance for a fraction of the cost (assuming your client can qualify)? Using life insurance with living benefits is an efficient way to solve long-term care planning without having to commit to the high premiums that often come with an LTC policy. Plus, if your client is already using indexed universal life insurance as a retirement savings alternative, they might as well let it work double duty. I strongly believe every person who already has life insurance should be replacing their old policies with the new type that include living benefits. Indexed universal life insurance is a great way to start a savings account for children as young as 2 weeks old. Due to the tax-free benefits the IRS has allowed permanent life insurance to offer, it’s important to consider the impact it can have when the cost of insurance is at its lowest. This means that you can put more premium dollars allocated to growth than death benefit. The hypothetical example below shows how a policy started on an infant at $100 / month turns into $1,400,000 in cash value at age 66. If you knew you could potentially create $1,400,000 in retirement savings by simply having them put away $100/month, why wouldn’t you show them that option? This is a prime example of how educating someone on permanent life insurance can make a difference in their family for many generations to come, not just upon death. To really help this sink in, below is the same illustration example as above, but we used $500 premium. You’ll notice the cash value as illustrated show nearly $8 million with a death benefit of almost $10 million. This is a great example of how you can teach your clients to use indexed universal life insurance to diversify their retirement savings. SELLING TIP: Call all of your existing clients with children and simply state the following. I hope you’re doing great, I wanted to quickly reach out to you and let you know we have a new program designed for children that is a great alternative to traditional 529 college savings programs. At a minimum I think you should learn about it and I’d love to give you the high level overview. I have availability this week on Tuesday and Thursday for a short 15 minute call, do either of those days work for you? This is one of my favorite topics because it’s a great way to sell IULs. Business owners are among the most receptive to learning about IUL and the advantages they can offer. Because business owners are the ones that cut the company expense checks and carry the weight of the company liability. If you can show them additional creative ways to use life insurance to make their business more efficient, they are all ears. Due to the IRS code which allows tax free loans from indexed universal life insurance, businesses often take advantage of this to create deferred compensation packages for executives to increase retention. This means the company can purchase an IUL on a key employee that correlates with the compensation package in their employment agreement. For example, a company offers their COO an additional $30,000 of retirement income based on specific performance guidelines. The company can utilize existing cash reserves to fund the policy as well as hold the policy as a positive asset on their balance sheet dollar for dollar, year one. If the company is going to hold back cash reserves for future deferred compensation payout, they can earn a higher interest rate on those reserves by parking them in an indexed universal life insurance policy. They can also take advantage of tax-free loans which reduces their out of pocket exposure when their executive begins taking retirement distributions. Every business has a succession problem to solve, and that is directly correlated to what happens when a key partner passes away or becomes unable to perform their duties due to disability or illness. If we follow the example above, the Buy-Sell portion of their planning would be satisfied with the policy death benefit. This means if the key employee passes away, the life insurance policy proceeds would buy out the surviving family’s equity in the business at a pre-determined value. Another succession related issue is insuring a business’s key employees and executives. Life insurance is placed on the life of a key employee to protect the business in the event of a death or disability. Not to be confused with Buy-Sell listed above which is used to buy out the deceased partners equity in the business, key-man is designed to compensate the business for lost revenue generated by the key employee or the replacement of that key employee. It’s very important to understand the differences in the two scenarios. For businesses that are fortunate to have cash reserves set aside, they can utilize permanent life insurance to get a much higher return vs. what is commonly found in bonds, CDs or money market accounts. Take a look at the scenarios below to get a better understanding. Reserves are earning 1% in money market account. Business has $1,000,000 in cash reserves. Business purchases indexed universal life insurance with early cash value and waiver of surrender riders. Fixed account offers 4% guaranteed. Policy cash value is worth $1,000,000+ with a tax-free death benefit of $8,000,000. Which scenario do you think a business owner would want to utilize? These are perfect examples of businesses that can benefit from the cash accumulation in an indexed universal life insurance policy. The key to writing these types of policies is understanding the best IUL companies that allows for the riders needed to make this a viable strategy for a business owner. SELLING TIP: Make sure you consider using an early cash value rider to allow for your business owner clients to have equal or great cash value year one so they can keep the policy as an asset on their balance sheet. Your commission isn’t front loaded in this scenario, but in many cases it’s the best thing to do for your client. I hope you’re doing great, the reason I’m reaching out is that I was recently introduced to a program that made me think of you. Like most business owners, I’m assuming you have some type of cash reserves in your business that are likely sitting in a low yielding account. We have a program that will allow you to earn more on those reserves while still keeping them liquid. On top of that, you can leverage them to fund any buy sell or key man agreements. It’s a really interesting program that business owners are buzzing about! I’d love to give you a high level overview. Do you have 15 minutes this Tuesday or Thursday for a short call? Back office support for case design and case management during the underwriting process. Offers consistent training to keep you up to speed on the changes that often occur. Has historical success as an IUL wholesaler. Can help you navigate the best IUL companies in the market. Provides objective advice that is customer centric. Provide lead generation and marketing programs to better serve your book of business. Picking the right partner for IULs will make all the difference in your success. We believe that we are a great partner option for you, but certainly want you to feel comfortable working with us. While you’re searching for the right place to call home, feel free to check out this IUL sales presentation that has proven very successful for many agents. Yes, I’d like a copy of the IUL Sales Presentation! 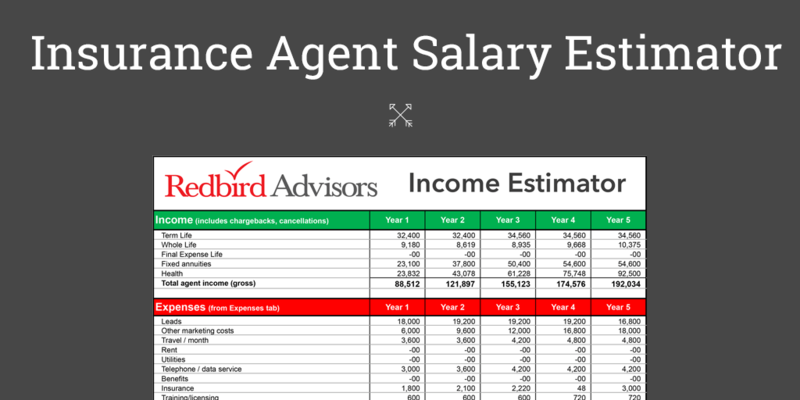 Please contact us if you would like to discuss your options for joining the Redbird Independent Agent Network and learning how to increase your IUL sales.